The DEWALT DCHJ060C1 Small Heated Jacket can provide hours of core body warmth and continuous heat. This jacket features 4 Core heating zones; upper left and right chest, mid-back and collar. The entire line of DEWALT 12-Volt MAX and 20-Volt MAX batteries can be used with this jacket. A DEWALT 1 Year Limited Warranty is included for added peace of mind. Includes DCB201 20-Volt MAX Lithium-Ion Battery (1.5Ah), Fast Charger and DCB091 USB Power Source. 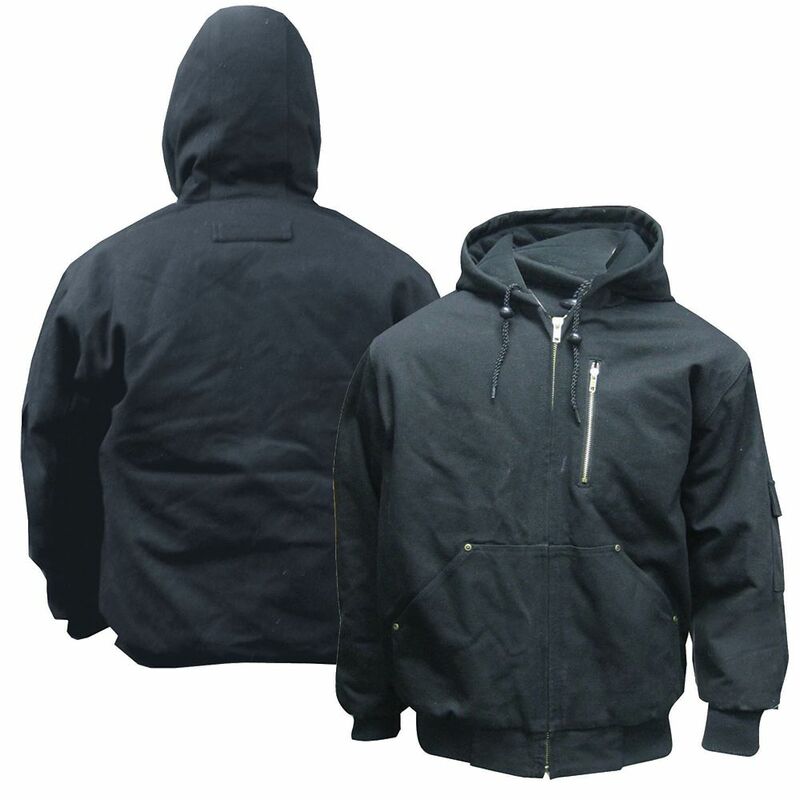 SB Black Cotton Work Jacket (2XL) 14 oz. duck cotton fabric.